Lesley and Nat at Nip and Tuck UK needed to upgrade their very old website and bring it up to the modern trends whilst keeping a simple design that is easy for the user to navigate. We used their logo and desired colour scheme and created a responsive website using a basic WordPress theme and built it to reflect their business. 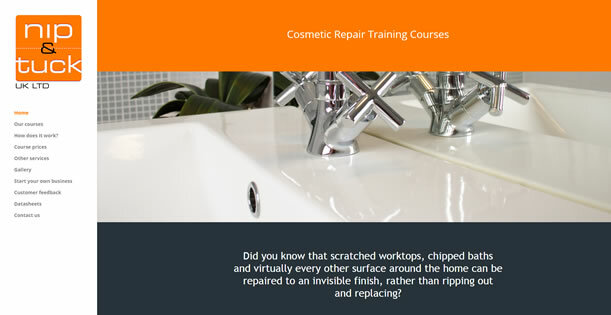 Now they can work their magic on broken, chipped or cracked stuff in the knowledge that their new website is bringing in more new customers to keep them busy.